The Seabreeze Cottage is a , beautiful, self contained and very special one bedroom cottage with a spacious open plan living design, full kitchen and bathroom, and a large wraparound deck. 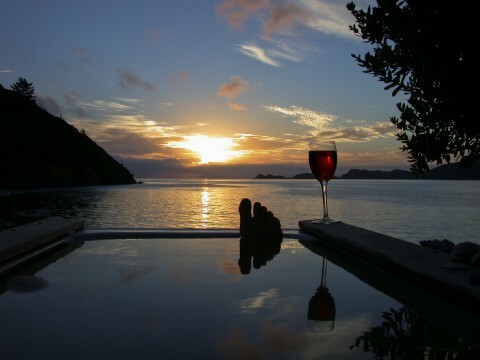 Enjoy stunning views across to D’urville Island, the ocean, the mountains beyond and gorgeous sunsets. Enjoy watching passing boats, dolphins and seabirds. An easy stroll down to our private beach, very private and peaceful and a nice distance from the main house. It has a large king size bed plus a wide comfortable window seat in the living area that can accommodate 2 individuals as well. It has a well appointed kitchen and bathroom, with an eco swedish style composting toilet. A private bath outside under the sun or stars is available in a setting that overlooks the beach, heated by fire, prepared by Roger, our resident “bathmaster”! Have you any idea how much we have looked forward to our return to this sanctuary? 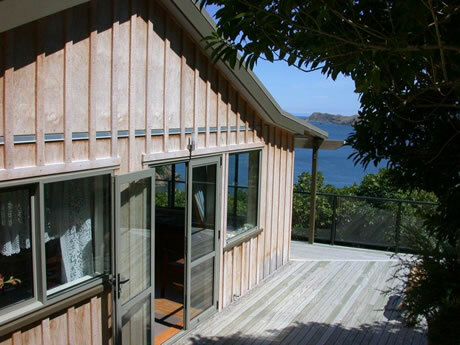 © Copyright 2019 Ngaio Bay Ecostay Holiday Cottage. All Rights Reserved.